November 25th is a special day marked by women’s rights activists worldwide to bring awareness and take action against violence against women. On this very important day I’d like to take a moment to remember my female comrades in Iran who take great risks in fighting for their rights as well as the rights of others in the Iranian society. Today Iranian women are at the frontline of fight against injustice, women are running campaigns to end discriminatory laws against women, they are running organizations to defend the rights of ethnic and religious minorities just to name a few...They can be seen at most major protests and gatherings, not in the back but on the front line shoulder to shoulder with their male comrades. On this special day I would like to announce my solidarity with female activists in Iran who fight relentless against injustice, regardless of any personal consequence to themselves. Name: Fasih ( Fateh) Yasmini. Date of Birth: 1360 Iranian Calendar. Health: Suffering from Neurological disorder and epilepsy. Seven months ago in his Village, ( Hendawan) part of Khoy County was arrested with his father by the Iranian authorities. His father Mr Hussein Yasmini, 65 years old has been sentenced to 2 years imprisonment. Mr. Yasmini has been accused of being a member one of the Kurdish political parties, and fighting against the national security of Iran. Fasih Yasmini was convicted and sentenced to death by the Revolutionary Court in Khoy, Court room one. According to some sources his conviction had been issued 10-15 days before the Trial. His Case has been sent to the Court of Appeal in West Azerbayjan Province, Court of Appeal, Branch 10. He has been sentenced on bases of documents that were provided by the Iranian Intelligent service on trial date. Mr. Yasmini claims that he has been repeatedly under the brutal torture in order to sign Etelaits document. His family is extremely worried about their sons well being and health situation. Why did the Foreign Affairs Department rebuff a witness in the Kazemi affair? The Honourable Lawrence Cannon, Minister of Foreign Affairs, welcomed the adoption of a resolution on the human rights situation in Iran, following a vote at the Third Committee of the United Nations General Assembly earlier today. "The adoption of this resolution is a clear signal of the international community's concern for the human rights of people in Iran. It sends a message of hope to the victims of state-sponsored brutality and to the human rights defenders who seek to effect positive change in Iran," said Minister Cannon. "At the same time, the Iranian regime is called upon to respect fully its human rights obligations, in law and in practice." With the passing of this resolution, Canada continues its leadership in the world by serving as the lead coordinator for this resolution, which expresses serious concern about the systemic human rights violations committed by the Government of Iran. The resolution was co-sponsored by 42 other UN member states and was supported by 70 in the vote earlier today. As in previous years, the Iranian delegation attempted to use procedural manoeuvres to block the Committee from considering the resolution on its merits. Yet again, the Iranian efforts to hide their abuses failed. Pursuant to the resolution adopted last year, United Nations Secretary General Ban Ki-moon issued a report highlighting serious violations of human rights in Iran, such as the execution of juveniles, stoning and amputation, widespread discrimination against cultural, religious and linguistic minorities, censorship, and harassment of human rights defenders and women's rights activists. "With this resolution, and those presented in previous years, international attention has been drawn to the flagrant human rights abuses in Iran," said Minister Cannon. "We continue to call on the Iranian government to take concrete steps to respect the human rights of all people in Iran. "We will continue to promote Canadian values, such as freedom, democracy, human rights and the rule of law, on the world stage. All Canadians can be proud of Canada's principled foreign policy." 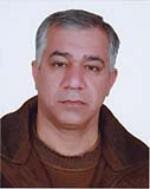 Prisoner of conscience, Abbas Lisani, was released from Yazd Prison in central Iran, on 29 October 2008 after serving two consecutive sentences totalling 30 months’ imprisonment. A prominent activist for the rights of the Iranian Azerbaijani minority, Abbas Lisani was sentenced to 18 months’ imprisonment and 50 lashes after he was convicted of taking part in a May 2006 demonstration by Iranian Azerbaijanis in his home town of Ardabil. The demonstration was staged to protest against a cartoon published in an Iranian newspaper which many Iranian Azerbaijanis found offensive. His sentence was confirmed on appeal in October 2006. The flogging sentence has not been yet carried out. 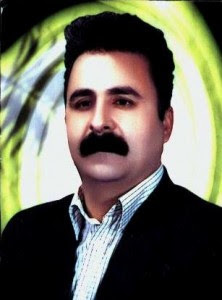 Abbas Lisani's second prison sentence of one year was passed in August 2006 and confirmed later on appeal, in connection with his participation in a peaceful cultural gathering at Babek Castle in 2003. In April 2008 he also received a fine of 50,000 Toman (about US $50,125) by a court in Tabriz, north-western Iran, on charges of “disturbing public order” during another gathering in Tabriz in June 2005. During his detention Abbas Lisani went on several hunger strikes including in protest against his transfer to Yazd Prison and his harsh treatment there. He was then deprived of temporary prison leave as permitted in Iranian law. 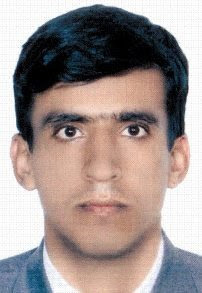 On 7 October 2008, Abbas Lisani was taken to the offices of the Intelligence Services in Yazd where he was subjected to 10 hours’ interrogation during which he was questioned about his plans after his release. The interrogation took place in presence of members of the Security force from his north western hometown, Ardebil. A few days prior to his release, the General Prosecutor and the Intelligence Services of Ardebil threatened Abbas Lisani's family that he would be arrested again should he take part in any event or movement in an Azerbaijani city. 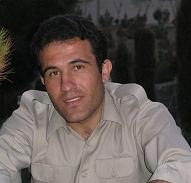 Mr. Masoud Hossein Panahi, a political activist residing in the city of Dehgolan was arrested on October 29th 2008. He was arrested in his home by security forces and taken to a detention center in the city of Ghorveh. Mr. Panahi was previously arrested and imprisoned for one month in 2007 and again for 10 days in 2008, for his participation in a gathering protesting against the death sentence against Mr. Anwar Hossein Panahi. There is no information about why Mr. Panahi has been arrested or what he has been charged with. His family has tried to obtain information about his whereabouts adn the reason for his arrest however they have not been successful. Mr. Panahi's family is extremely concerned about his safety and well being. An individual named Mohammad Sadiq Mohammadi, from a small village called Ghasaryan, close to the city of Sanandaj was arrested on October 22nd 2008 by Islamic Regime Agents, without an arrest warrant. He was taken to an un-known location, and so far there has been no news about his whereabouts or health condition. His family is extremely concerned about his well being. Mr. Afshin Shams has been sentenced to one year imprisonment by the Revolutionary Courts in the City of Esfehan. he has been convicted of advertising against the Islamic Regime and being in contact with opposition groups outside of the country. He has been sentenced based on Section 500 of the Islamic Iranian Criminal Code which states: Anyone who advertises agaisnt the Islamic Regime or in support of any opposition group working against the Islamic Regime will be sentenced to anywhere between three months (3) to one year imprisonment. On Sunday October 26th 2008 two Kurdish political activists Mr. Vriya Eskandari and Mr. Diyako Ghobadi were arrested in the city of Kamyaran, by the secret police and transferred to an unknown location. There is no information in regards to the charges against these two individuals. The families of these activists have tried to obtain information about their whereabouts both from the police and the judiciary, however they have not been successful. The families of these individuals are extremely concerned about their safety and well being. Mohammad Saleh Ayomand who is a Kurdish student studying social sciences in Tehran University was arrested on December 18th 2007. he was one of the four (4) students arrested as a result of organizing an event to commemorate student day. 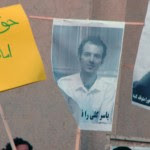 He was arrested by the Ministry of Intelligence Officials and sent to Evin Prison. After 92 days of imprisonment he was released on a 150 Million Toman bail, which was later reduced to 80 Million Toman. On October 29th 2008 he was sentenced to four (4) years of imprisonment by Branch 28 of the Revolutionary Courts and his sentence was announced by his lawyer. It is worth mentioning that Mr. Oyamand’s trial was adjourned on August 31st 2008 due to the absence of the prosecutor. On October 4th the Court proceeded with the trial behind closed doors and without a jury. Further Mr. Saleh Oyamand has also been permanently expelled from University and will not be allowed to continue his education. 6. Leaving and re-entering the country illegally. The Revolutionary Courts have announced that they do not have jurisdiction over charge #5-6 and have traversed the charges to an ordinary court to be dealt with accordingly. As a result of charge #1-4 Mr. Saleh Oyamand has been sentenced to four (4) years of imprisonment by Branch 28 of the Revolutionary Courts. According to Recent news from the Urumiye Prison, the health condition of 9 prisoners who were taken to solitary confinement 9 days ago has greatly worsened. These prisoners are being held in cells that are four (4) meters long, and are also used as washrooms. Prisoners who have dared to complain about the situation have been subjected to severe physical and psychological torture. The prisoners have also been threatened that “these cells will become their graves”. According to other prisoners who have seen these 9 prisoners they suffer from extremely serious illnesses including blood infested dihearea, different types of infection and skin problems. Other prisoners in Urumiye Prison are extremely disturbed about the inhumane treatment of these 9 prisoners. The Committee for the Support of Hunger Strike for Kurdish Political Prisoners is extremely concerned about the inhumane treatment of these 9 prisoners, and while condemning the inhumane treatment of these prisoners, urge all freedom loving people and international human rights organizations to take steps to help save their lives. According to the latest news from Sanandaj Prison Mr. Anwar Hosseini Panahi who has been sentenced to death has announced that if the Islamic Regime Officials do not respond to the legal demands of the political prisoners he will take his strike one step further adn sew his lips together. Anwar Hosseini Panahi who joined the hunger strike on its very first day is planning to take his hunger strike to a new level by sweing his lips. It must be mentioned that yesterday September 17th 2008 at 8pm Ministry of Intelligence Officials went to teh home of Mr. Panahi's father and subjected him to threats and psychological torture in order to prevent him from reporting any news in regards to his son's hunger strike and health condition. They have also asked him to convince Mr. Panahi to break his hunger strike. It has been more then 20 days since the Kurdish political and social prisoners have gone on a nationwide hunger strike. As far as I know this is the first organized prisoner movement in the past few years, however I for one am so disappointed to see the censorship surrounding this hunger strike. I have tried to post up to date news about the hunger strike on my blog, however many sites who post my news on a very regular basis have completely ignored any news that has to do with this hunger strike. The petition I have prepared has gotten less then 300 signatures. I just can't figure it out. When did being Kurdish equate to being a separatist? Many of individuals who are on hunger strike are teachers, journalists, students and women's rights activists. They are not armed separatists. The prisoners are asking for humane prison conditions, they're asking for an end to executions, isn't this what we all want? Don't we want this for all prisoners? Then why the silence? why the censorship? Why is it that when it came to Akbar Gangi whom many believe is the mouth piece of Regime (myself included) such major campaigns were going on and the whole world heard about him, however when genuine prisoners who are truly working for freedom and against the Regime come together and create such an amazing and organized movement we close our eyes and turn our heads away? At the end of the day aren't we all Iranians? aren't we all fighting for the same thing? I am urging those who read this to break the censorship, the Islamic Regime already punishes the Kurdish people for their ethnicity, lets not do the same thing. Both Kamyar and Arash Alaii were arrested on 23 June 2008 by security forces, and are still in detention after 2 months under going interrogation and torture. The Alaii brothers have been vanguards in combating Aids in Iran. According to reports by the Student Committee of the Human Rights Reporters, the two Doctors have been separated in solitary confinement and are undergoing immense pressure. Apparently security officials have managed to compel them to fake confessions suggesting their involvement in a plot to overthrow the government. They have been threatened not to ask for lawyers. The Islamic Republic had previously charged the Alaii brothers of "acting to overthrow the Islamic Republic", through establishing an NGO, affiliated to the USA. This has been the case during last year in which civil activists have been targeted with charges such as "acting to overthrow the government", in order to pave the way for security forces to carry out widespread arrests. Dr.Kamyar Alaii has been a researcher in Harvard University and the founder of triangular clinics, specialist in World Health planning, and an activist in preventing the spread of Aids in Iran. Before his arrest, in an interview with the Farsi speaking Radio Zamaneh, he had expressed concern over the spread of Aids indicating the rising statistics of those infected by Aids to have reached 100 000 so far. In the same interview he had re iterated that the spread could be contained. Iran is a party to the International Covenant on Civil and Political Rights and is obligated to pertain to the obligations of this Covenant. These include: refraining from arbitrary arrests and detention, announcing reasons of arrest with no delay, announcing charges under which the victims are detained, allowing the right to defense and to have a legal defense, and also allowing the victim to be present when charges are ruled. بنابه گزارشات رسیده از زندان مرکزی اصفهان دو زندانی که محکوم به سنکسار هستند. حکم سنکسار آنها همچنان به قوت خود باقی است. خانم گیلان محمدی حدودا 30 ساله که در بند زنان زندان اصفهان زندانی است. او در حدود 5 سال پیش دستگیر و زندانی شد خانم محمدی در یک دادگاه به اتهام داشتن رابطه محکوم به سنکسارشد. همچنین آقای غلامعلی اسکندری که در بند افاغنه زندان اصفهان بسر می برد و در حدود 5 سال است که در بازداشت است او در یک دادگاه محکوم به سنکسار شد. علیرغم اینکه سخنگوی قوۀ قضائیه پیش از این اعلام کرده بود که احکام سنکسار متوقف گردیده و همچنین گفته شد کسانی که حکم سنکسار دارند احکام آنها تقلیل یافته است. ولی در شرایط محکومیت این 2 زندانی هیچ تغییری بوجود نیامده است و همچنان حکم سنکسار آنها به قوت خود باقی است. فعالین حقوق بشر و دمکراسی در ایران،صدور احکام قرون وسطائی و ضد بشری مانند سنکسار، اعدام کودکان،اعدام زندانیان سیاسی و اعدام های دست جمعی را محکوم می کند و از سازمانهای حقوق بشری و مراجع بین المللی می خواهد برای حفاظت از قوانین حقوق بشری و نجات جان انسانها دست به اقداماتی عملی برای پایان دادن به جنایتها در ایران است.